Offshore fishing or cruising in comfort, the Antares 8.05 skillfully covers both activities. The ability to stay on course is fantastic, regardless of sea conditions, even at low speeds. Fishermen will enjoy reaching the best fishing spots before others, yachtsmen will benefit from speed and comfort for longer breaks. 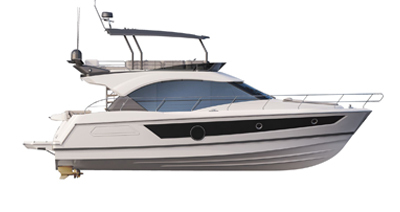 Antares 8.05, for living life at sea to the fullest.